We have a large range of beautifully crafted bathroom ceramic basins in a range of unique styles that will fit seamlessly into a variety of interior designs. 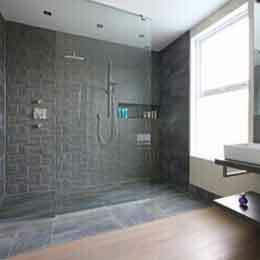 Our range includes basins, basins and semi-pedestal, basin and pedestal, semi-recessed basins & Basin and bottle traps. Our ceramic manufacturing process is highly automated for a robust, high quality finish that is built to last! MIX & MATCH any 3 pieces of NWT Bathroom Furniture or Sanitaryware to automatically receive the 10% discount at checkout. Our Victoria range of traditional, quality sanitaryware is ideal for a variety of bathroom installations where you want a stunning, classical finish. The Victoria Traditional WC including Cistern & Luxury Soft Close Seat and Cover is a statement piece within the range which oozes classic, elegant design. The WC also boasts an eco dual flush system. Our Alegro range of sleek, modern sanitaryware is ideal for a variety of bathroom installations where you want a clean, subtle curved, stylish finish. Our Alegro range includes a variety of basin, toilets and a bidet. Our range of counter-top, ceramic vanity basins have been designed in-house to create a truly stunning focal point of your bathroom or wetroom installation. Please note the Tap and Wooden Shelf are not included as pictured and are purely a design suggestion. This model requires an unslotted waste. Our Encore range of sleek, modern sanitaryware is ideal for a variety of bathroom installations where you want a cost effective yet stylish bathroom solution. 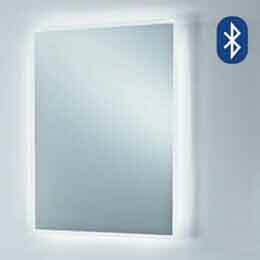 The wall mounted vanity basin is a designer piece within the range which is also ideal for a space saving installation. 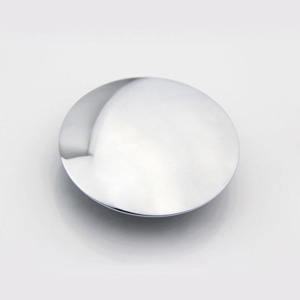 This round Klik Klak unslotted basin waste from NWT will suit any basin without an overflow. Simply push the chrome fitting to drain the water away. Do not settle for inferior waste connectors when fitting your new bathroom, choose a quality brass constructed model finished in beautiful chrome to complete your installation and stand the test of time. Our Encore range of sleek, modern sanitaryware is ideal for a variety of bathroom installations where you want a cost effective yet stylish bathroom solution. The Encore Semi-Recess Basin is a slimline, functional designer piece within the range which is ideal for space saving installations. Our Encore range of sleek, modern sanitaryware is ideal for a variety of bathroom installations where you want a cost effective yet stylish bathroom solution. 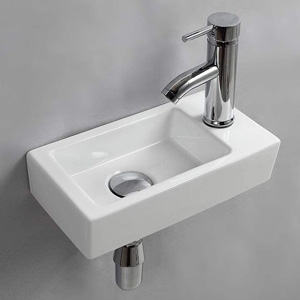 The Encore Corner Basin & Bottle Trap is a slimline, functional designer piece within the range which is ideal for space saving installations. Our Encore range of sleek, modern sanitaryware is ideal for a variety of bathroom installations where you want a cost effective yet stylish bathroom solution. 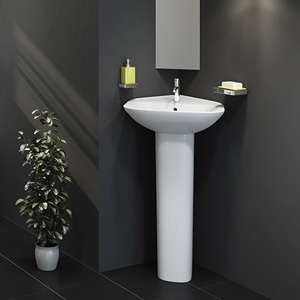 The Basin & Semi-Pedestal is a slimline designer piece within the range. Our range of counter-top, ceramic vanity basins have been designed in-house to create a truly stunning focal point of your bathroom or wetroom installation. Please note the Tap and Wooden Shelf are not included as pictured and are purely a design suggestion. Our Encore range of sleek, modern sanitaryware is ideal for a variety of bathroom installations where you want a cost effective yet stylish bathroom solution. 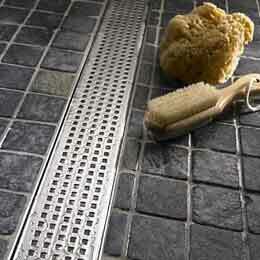 The Encore Basin & Bottle Trap is a slimline, functional designer piece within the range. Our Encore range of sleek, modern sanitaryware is ideal for a variety of bathroom installations where you want a cost effective yet stylish bathroom solution. 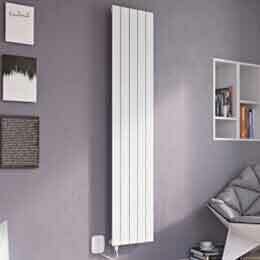 The Basin & Pedestal is a slimline designer piece within the range. Our Brio range of sleek, modern sanitaryware is ideal for a variety of bathroom installations where you want a clean, cubic, angular finish. The semi-recessed basin is a statement piece within the range which oozes contemporary design. This round slotted basin waste from NWT will suit any basin with an overflow. Simply push the chrome fitting to drain the water away. Do not settle for inferior waste connectors when fitting your new bathroom, choose a quality brass constructed model finished in beautiful chrome to complete your installation and stand the test of time. Our Adagio range of sleek, modern sanitaryware is ideal for a variety of bathroom installations where you want a clean, angular finish. The semi-recessed basin is a statement piece within the range which oozes contemporary design. Our range of semi-recessed, ceramic vanity basins & bottle trap have been designed in-house to create a truly stunning focal point of your bathroom or wetroom installation. Please note the Tap and Wooden Shelf are not included as pictured and are purely a design suggestion. 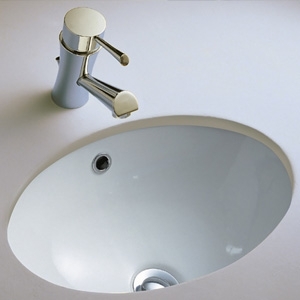 This square Klik Klak slotted basin waste from NWT will suit any basin with an overflow. Simply push the chrome fitting to drain the water away. Do not settle for inferior waste connectors when fitting your new bathroom, choose a quality brass constructed model finished in beautiful chrome to complete your installation and stand the test of time. Our range of wall-mounted, ceramic vanity basins & bottle trap have been designed in-house to create a truly stunning focal point of your bathroom or wetroom installation. Please note the Tap and Wooden Shelf are not included as pictured and are purely a design suggestion. This model requires an unslotted waste. Our range of counter-top or wall-mounted, ceramic vanity basins have been designed in-house to create a truly stunning focal point of your bathroom or wetroom installation. Please note the Tap and Wooden Shelf are not included as pictured and are purely a design suggestion. This round slotted basin waste from NWT will suit any basin with an overflow. The waste in supplied with a quailty, heavyweight plug and chain. 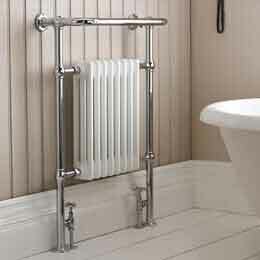 Do not settle for inferior waste connectors when fitting your new bathroom, choose a quality brass constructed model finished in beautiful chrome to complete your installation and stand the test of time. Our Encore range of sleek, modern sanitaryware is ideal for a variety of bathroom installations where you want a cost effective yet stylish bathroom solution. The Corner Basin & Pedestal is a slimline designer piece within the range which is also ideal for a space saving installation. Our Alto range of sleek, modern sanitaryware is ideal for a variety of bathroom installations where you want a clean, angular finish. 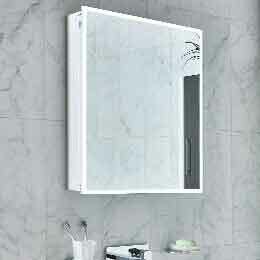 The Basin & Semi-Pedestal is a slimline designer piece within the range. 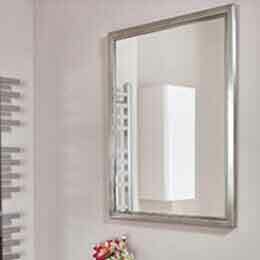 Complete the look of your counter top (inset) or wall hung basin with a luxury round chrome bottle trap. This minimalist design has cutting edge looks as well as being practical, allowing you to easily access any waste that has been collected by unscrewing the trap. This makes a feature of what is usually an unsightly piece of pipe work. Our Brio range of sleek, modern sanitaryware is ideal for a variety of bathroom installations where you want a clean, cubic, angular finish. 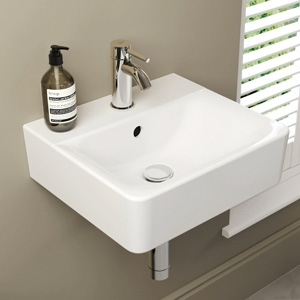 The Basin & exposed Bottle Trap is a statement, designer piece within the range which also makes a feature of the side mounted tap connection. Our Adagio range of sleek, modern sanitaryware is ideal for a variety of bathroom installations where you want a clean, angular finish. 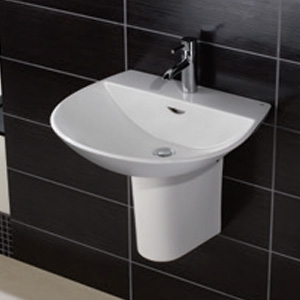 The Basin & Pedestal is a slimline designer piece within the range. 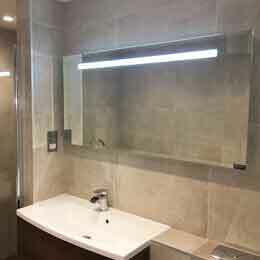 Complete the look of your counter top (inset) or wall hung basin with a luxury square chrome bottle trap. This minimalist design has cutting edge looks as well as being practical, allowing you to easily access any waste that has been collected by unscrewing the trap. 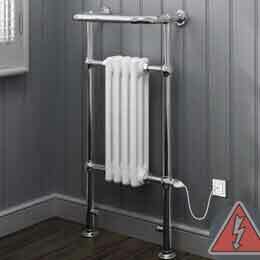 This makes a feature of what is usually an unsightly piece of pipe work. Our Brio range of sleek, modern sanitaryware is ideal for a variety of bathroom installations where you want a clean, cubic, angular finish. 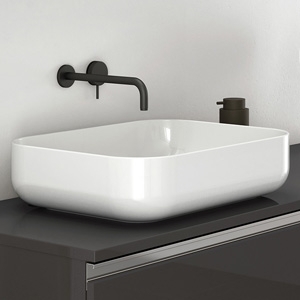 The Basin & exposed Bottle Trap is a statement, designer piece within the range. Our Brio range of sleek, modern sanitaryware is ideal for a variety of bathroom installations where you want a clean, cubic, angular finish. 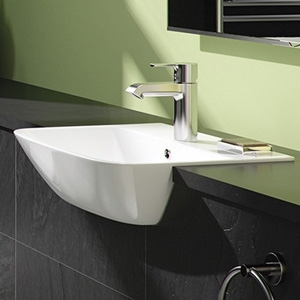 The Basin & Semi-Pedestal is a slimline designer piece within the range. Our Alto range of sleek, modern sanitaryware is ideal for a variety of bathroom installations where you want a clean, angular finish. 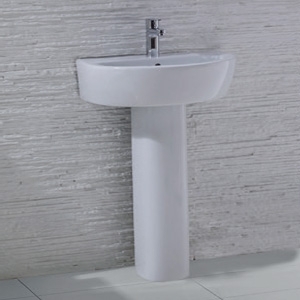 The Basin & Pedestal is a slimline designer piece within the range.